God said, “Behold, I am doing a new thing! Now it springs forth; do you not perceive and know it and will you not give heed to it? I will even make a way in the wilderness and rivers in the desert” (Isaiah 43:19). This verse perfectly sums up the dominant message in Lettie Cowman’s book Streams In The Desert. Everyone has been there: things haven’t gone as we planned … we’re not sure how we could have ended up in such a dry, barren place … it seems like nothing is working out right … we begin to think that even God has lost sight of us. But it’s in this painful, desert place that God is ready to do something unheard of! Lettie Cowman knew the pain of sickness and disappointment and thwarted dreams. Yet in the midst of her desert place, as she poured out her raw emotions, she began to see a river springing up in her wilderness. This book is a heaven-sent blessing to anyone in those dark, barren places. 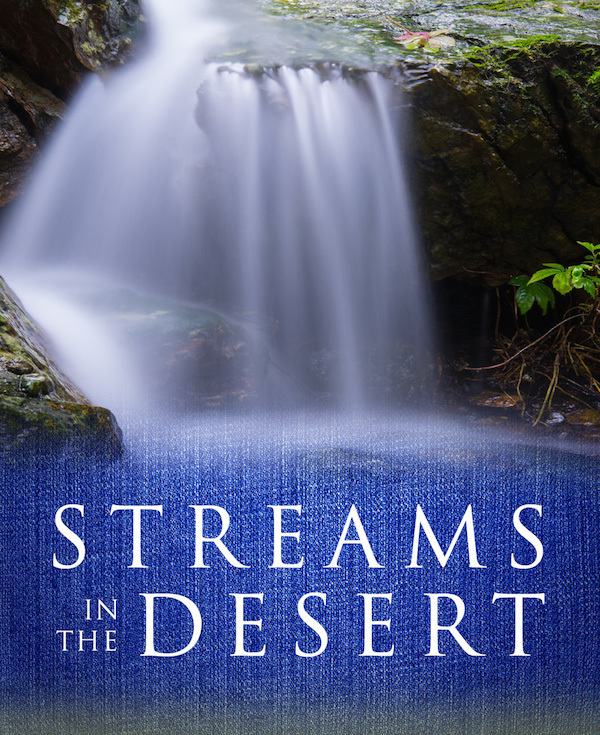 Each day you will get a glimpse of God’s spring, as Lettie shares her personal discoveries, insights from Scripture, quotes from other desert wanderers, poems of reflection, and even prayers for help. Each day’s short reading is thirst-quenching and soul-satisfying. If you are going through a desert place, get a copy of this book for yourself. If you have a friend who is struggling, buy a copy for them, and find times to get together to discuss each day’s reading. There’s a reason why this book has stood the test of time and has been an immense help to so many throughout the years.